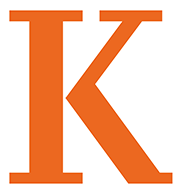 Kalamazoo College invites applications for the Special Advisor of Professional Development in Diversity, Equity, and Inclusion of the Kalamazoo College Inclusive Excellence Program. This grant-funded position will help the College implement the program goals to change the campus climate that reflects a deep commitment to inclusive education; this goal will be accomplished in part through active work to mitigate individual implicit biases, understand and dismantle institutional oppressive practices, and encourage cultural competence among faculty and staff. Evidence of accomplishment of this goal is expected to be exemplified in a more equitable, inclusive, and socially-relevant learning environment. The successful individual will direct the primary program initiatives that include (1) organizing professional and personal development opportunities, (2) delivering programming, (3) tracking faculty and staff development, (4) providing individual consultations, and (5) helping manage the program budget and progress reports. This special advisor will report to the Associate Provost of Kalamazoo College, and is limited to the grant period ending August, 2023.